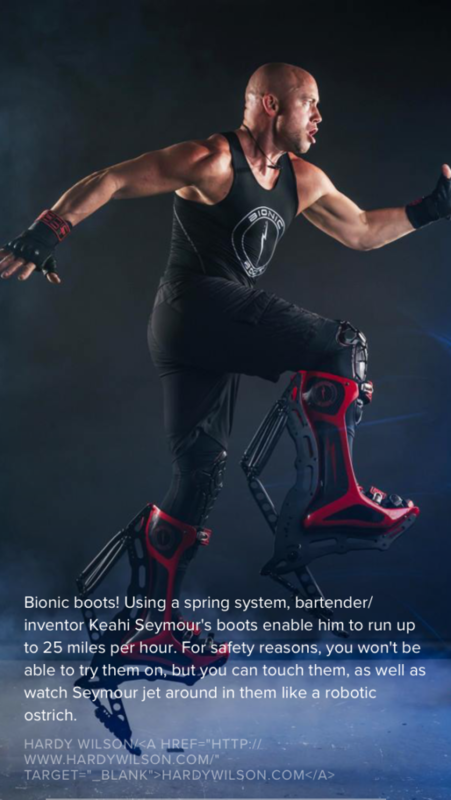 BIONIC BOOT FT. 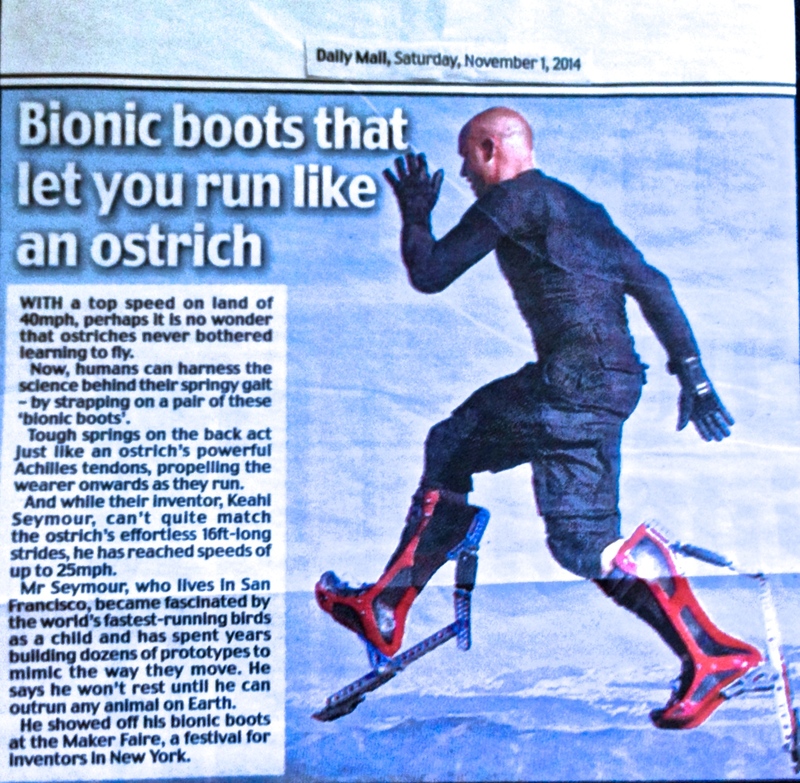 IN NEW YORK POST, 09/16/17. 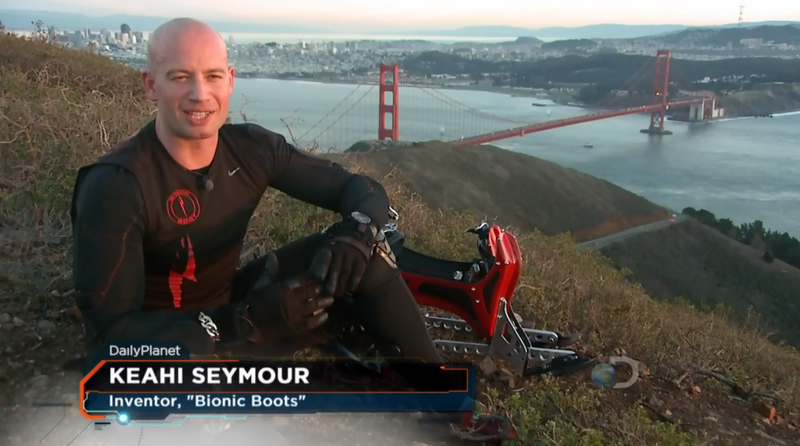 BIONIC BOOT LOOKING FOR INVESTORS/COMPANIES TO TAKE THE PRODUCT TO THE PUBLIC. 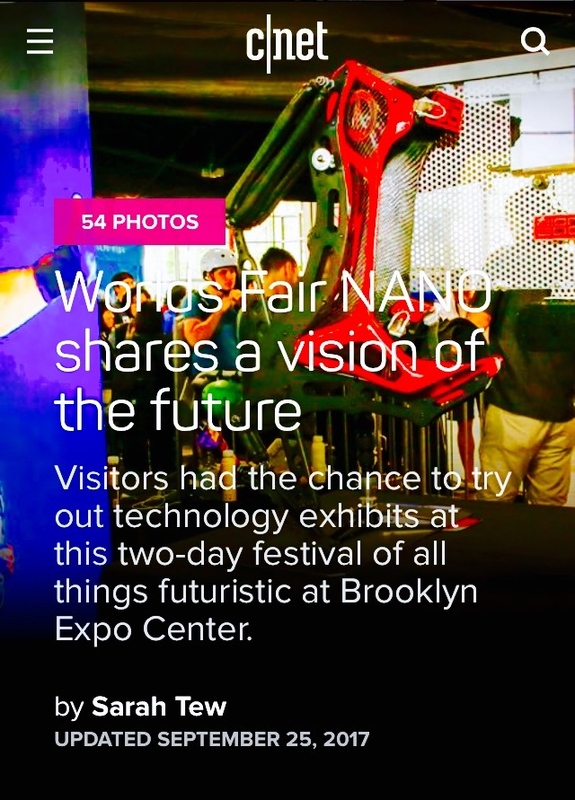 BIONIC BOOT AT WORLDS NANO FAIR NYC. 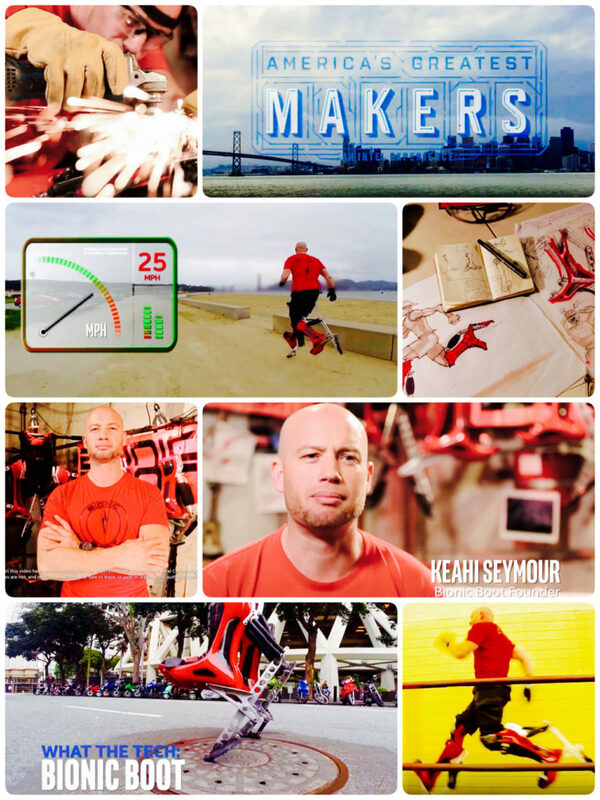 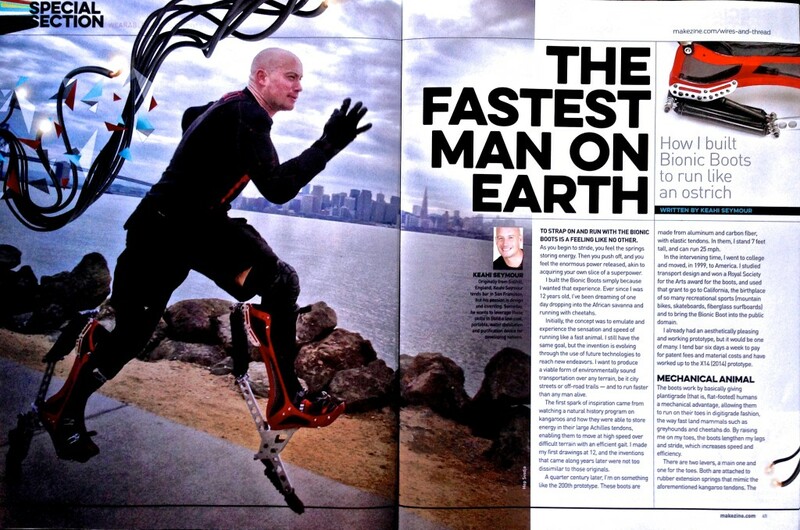 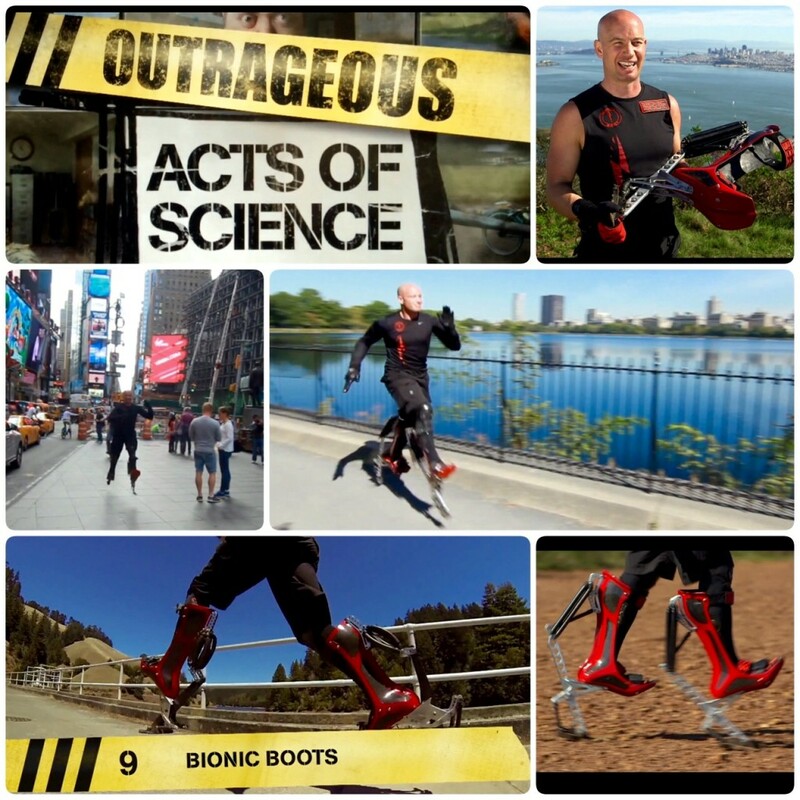 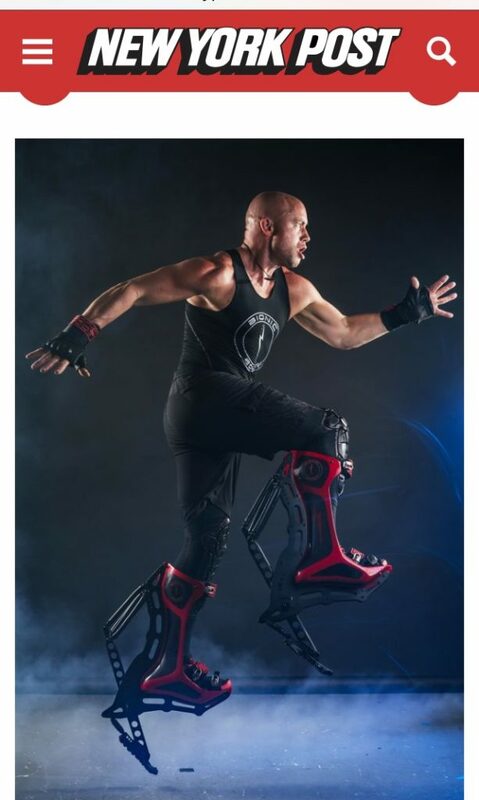 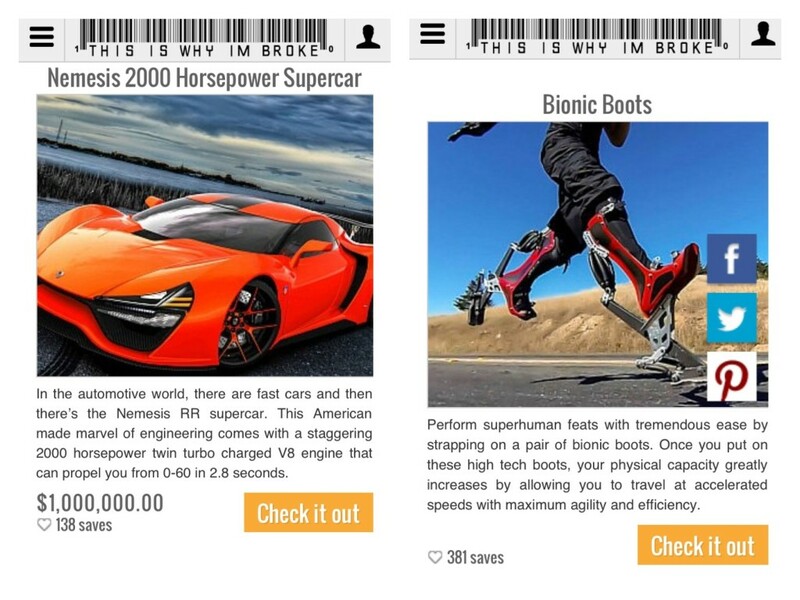 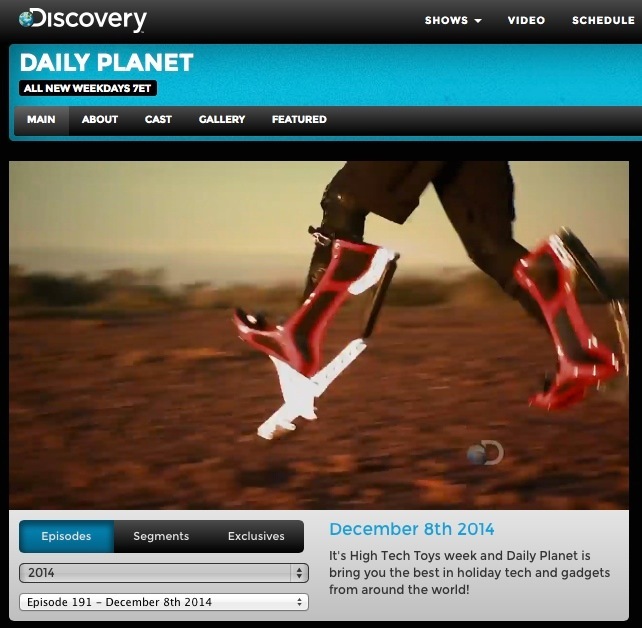 BIONIC BOOT ON ‘OUTRAGEOUS ACTS OF SCIENCE’ , SPEED FREAKS EPISODE. 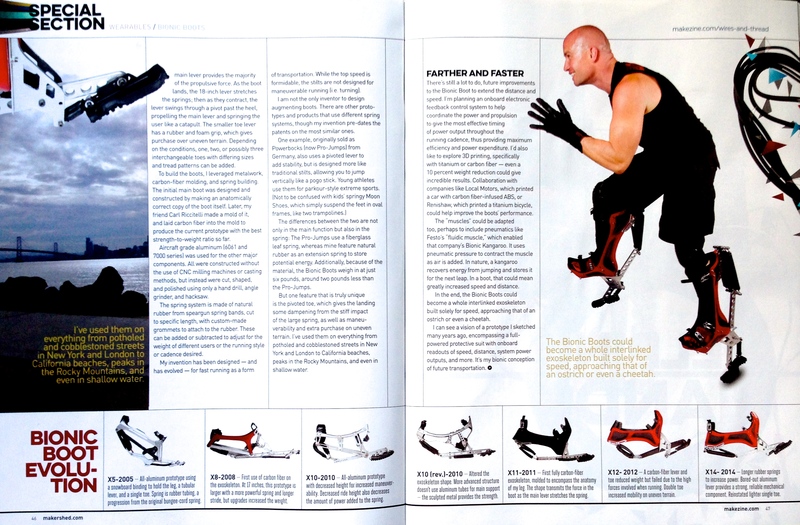 MAKE MAGAZINE BIONIC BOOT ISSUE. 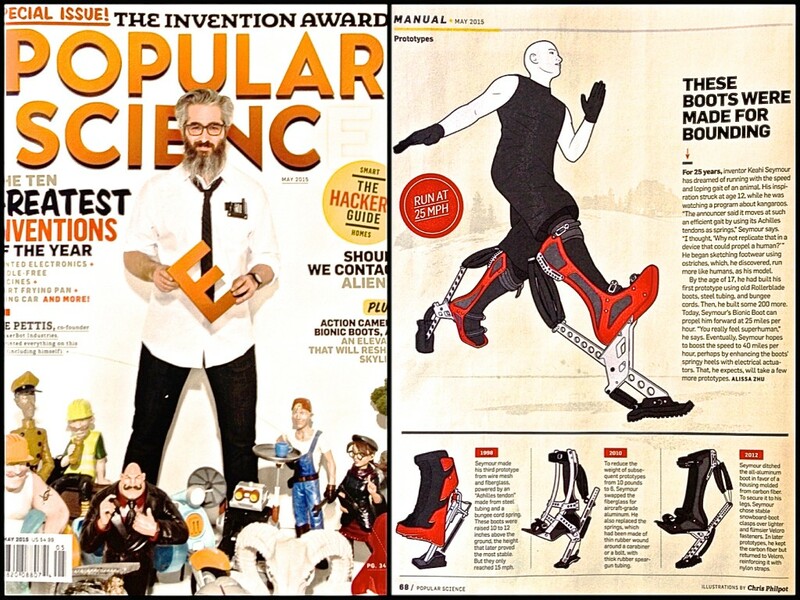 POPULAR SCIENCE, BIONIC BOOT MAY ISSUE. 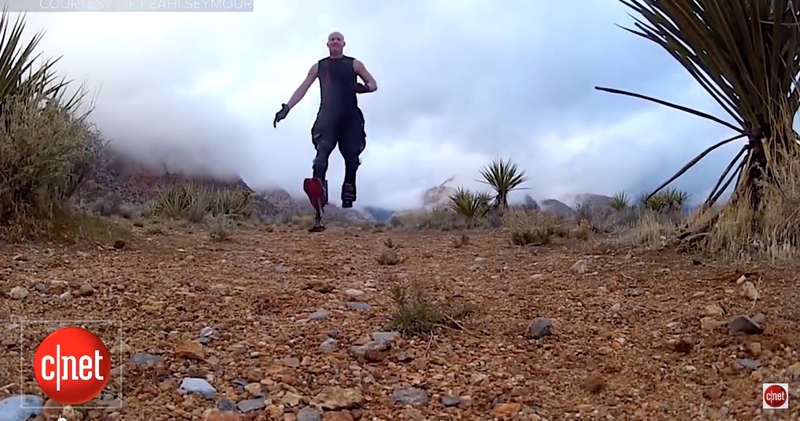 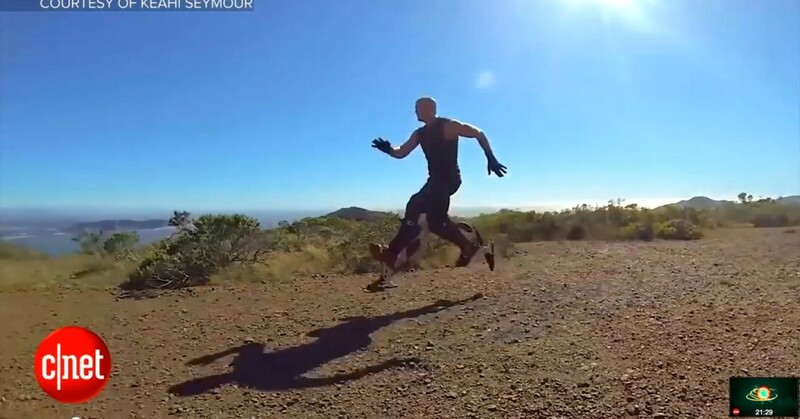 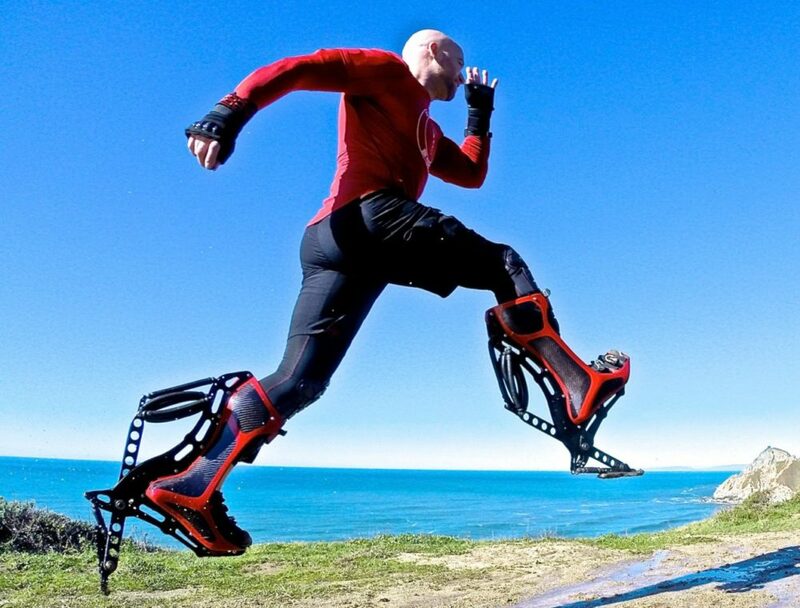 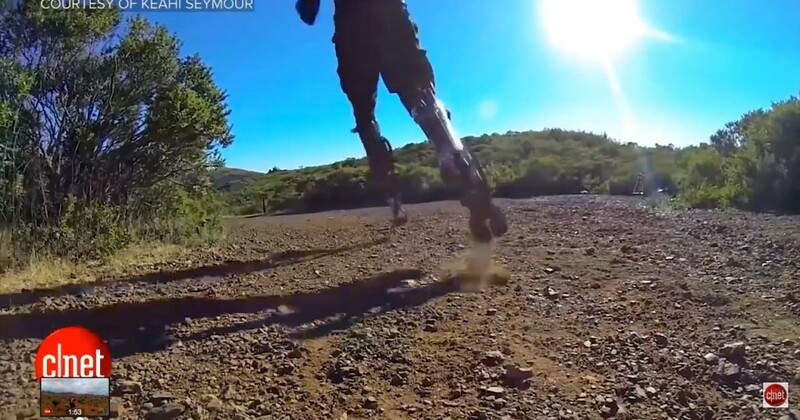 BIONIC BOOTS THAT LET YOU RUN AT 25 MPH. 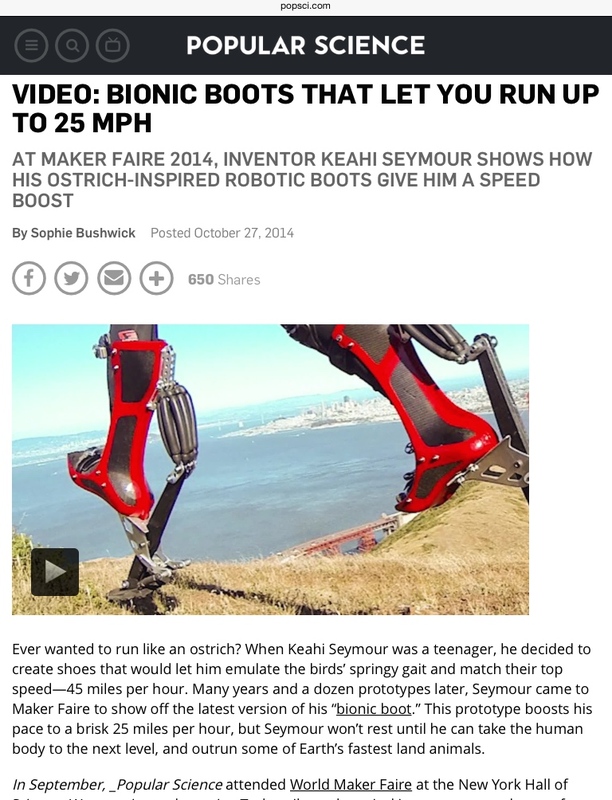 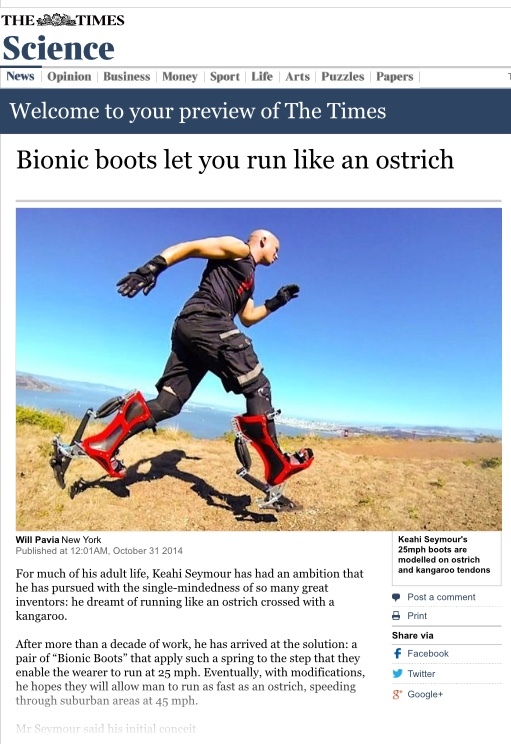 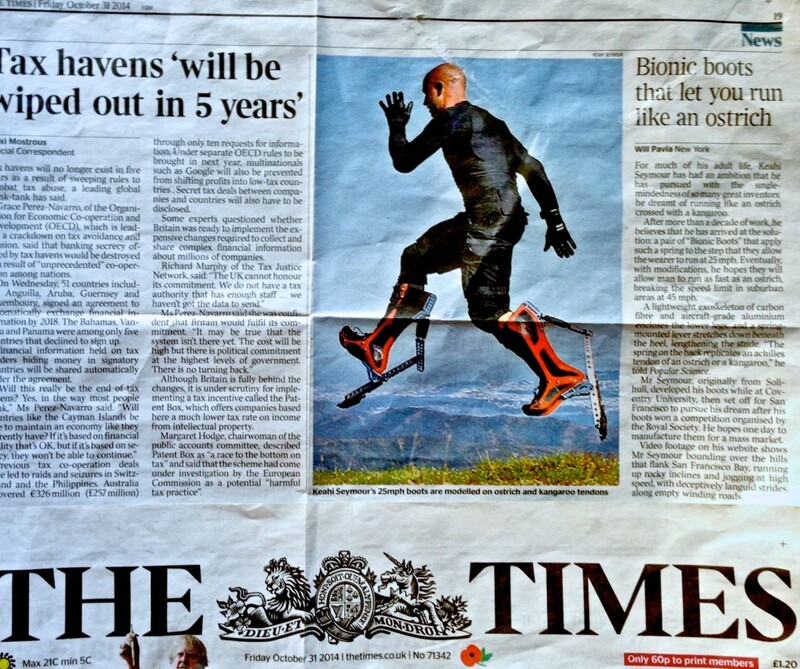 THE TIMES, BIONIC BOOT ARTICLE. 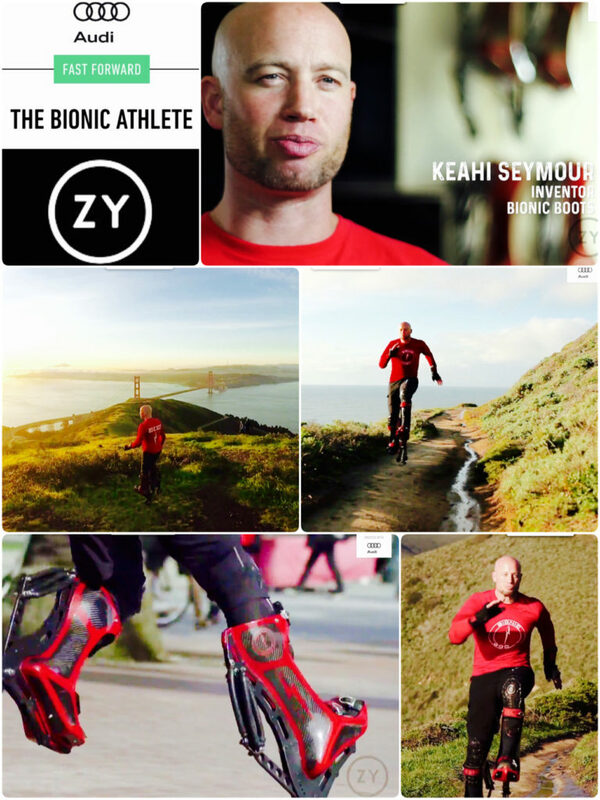 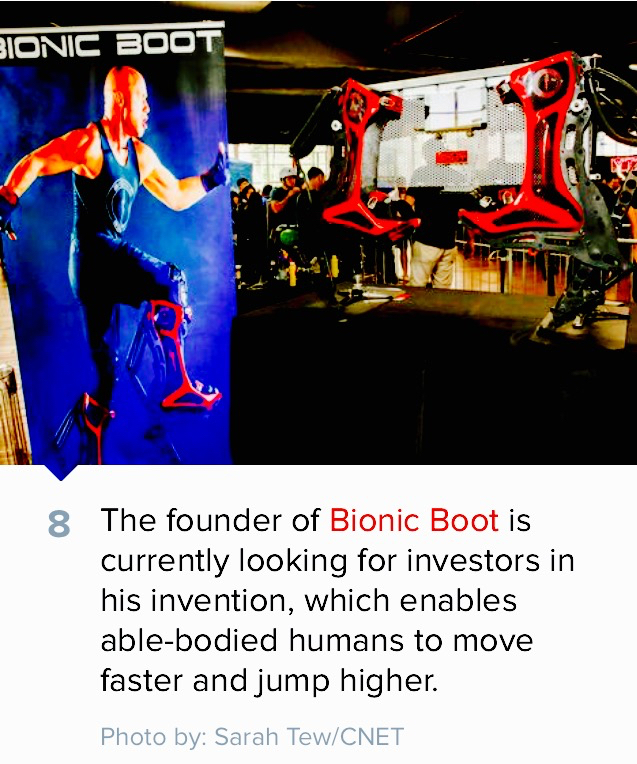 CNET ARTICLE ON BIONIC BOOT.